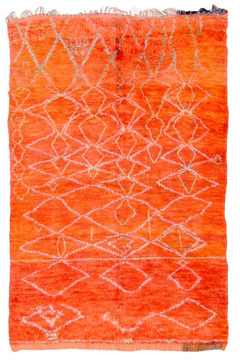 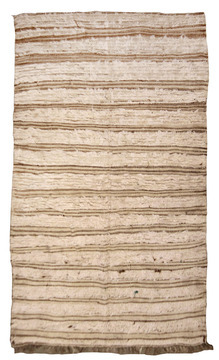 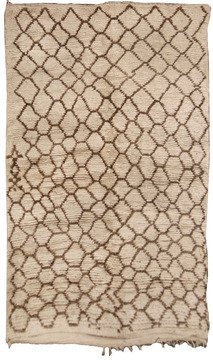 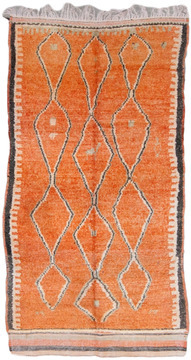 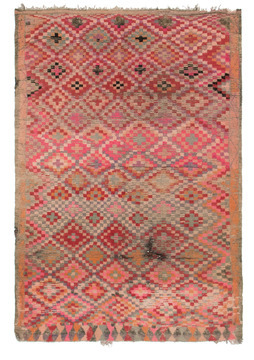 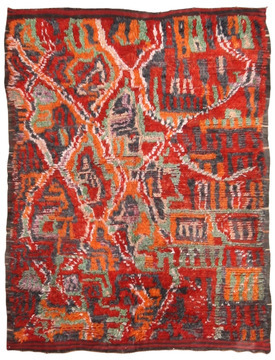 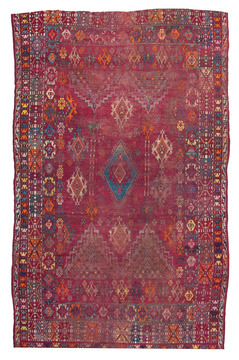 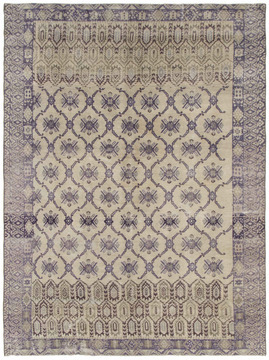 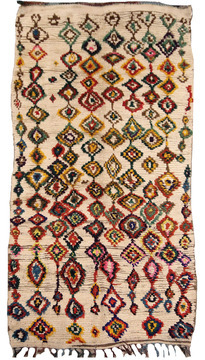 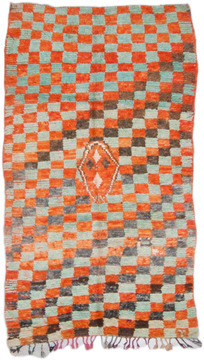 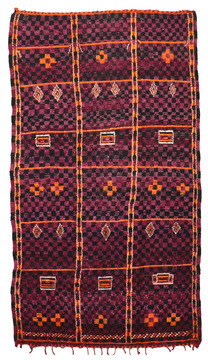 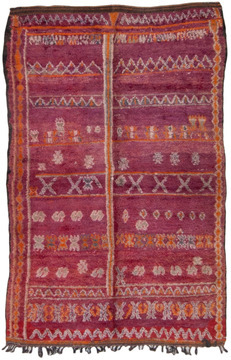 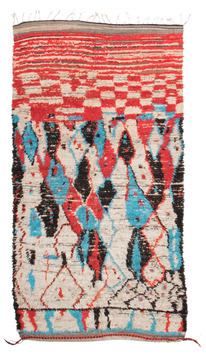 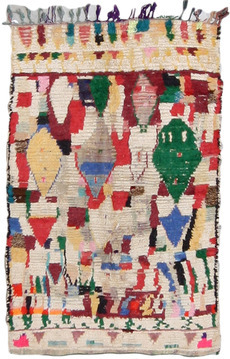 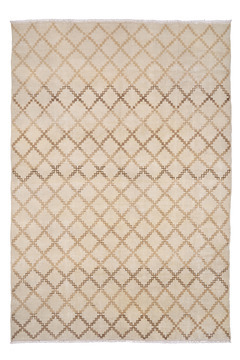 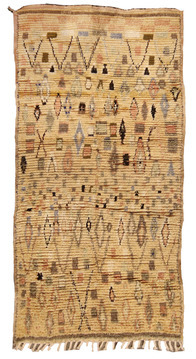 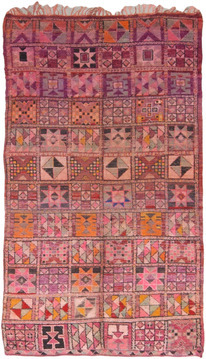 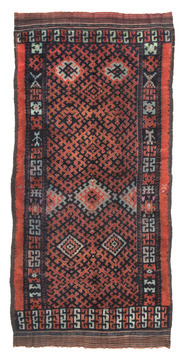 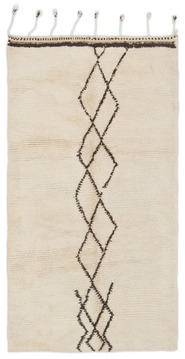 A long primitive Moroccan Rug with primitive qualities. 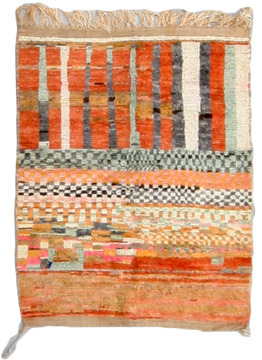 Black, light brown and peach predominate. 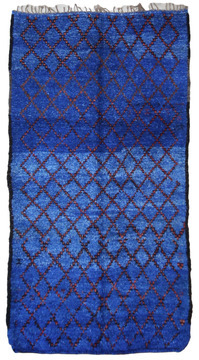 A pattern of repeating large and small slender diamonds and straight lines appear in a plain field.